Alternate History Weekly Update: Weekly Update #232! So it looks like we got another Hugo Award controversy on our hands this year. I really don't have much to say about it since most alternate history works are either a) not read by those who vote in the Hugos or b) not considered good enough to be nominated (I talked more about this phenomenom with Dale Cozort here). 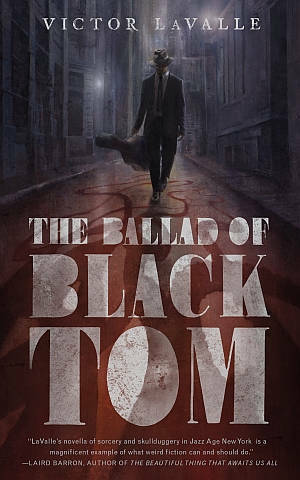 If you want to learn more about The Ballad of Black Tom, check out its review on Horror Talk which describes the story as "a complex psychological journey for a black man pushed to the brink in an inherently racist society." Definitely adding to me to-read list. Today's featured video is Cinema Sins break down of everything that is wrong with The Good Dinosaur, which is Pixar's first alternate history film and first flop. So don't expect another one from them in the near future. Paul Levinson's review of Outlander Season 2, Episode 3. Shannon Selin's profile of The Palace of the King of Rome, the home Napoleon never built. Joseph Kaminski's review of The Guns of South by Harry Turtledove. The time traveler who is running for President of the United States (and no this is not The Onion). SFFWorld's interview with Matthew De Abaitua, author If Then. War History Online's profile of the real order of assassins. How Elastic created the title sequence for Amazon’s The Man in the High Castle.